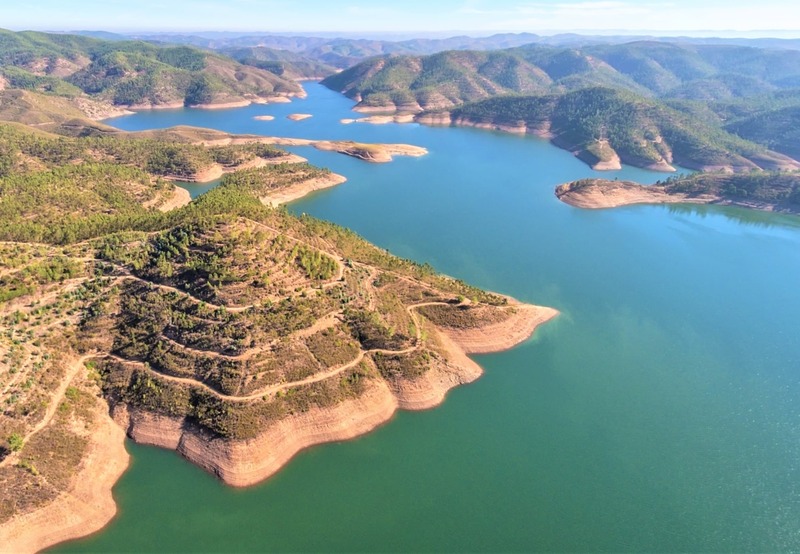 Our Algarve tour reaches Day 18 and finally we reach the west coast for our Vila do Bispo 2 day tour. 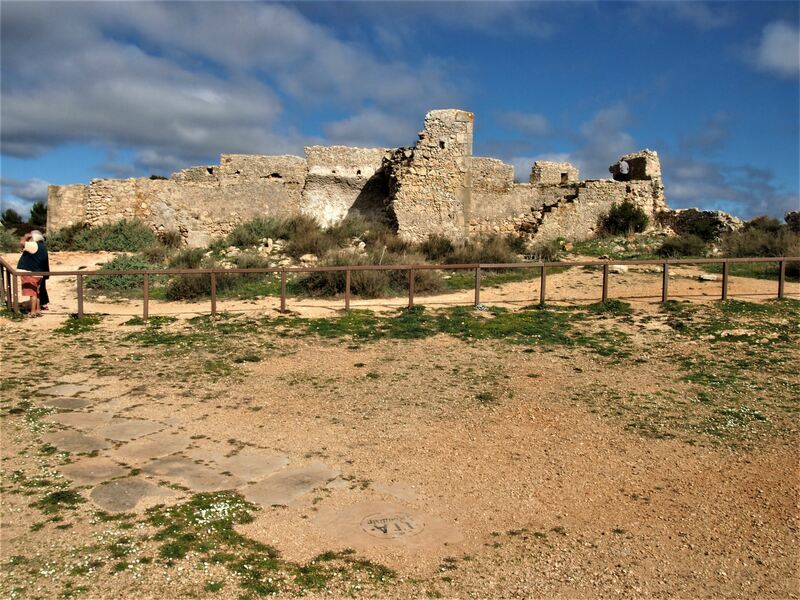 Vila do Bispo is the jewel of the Western Algarve. 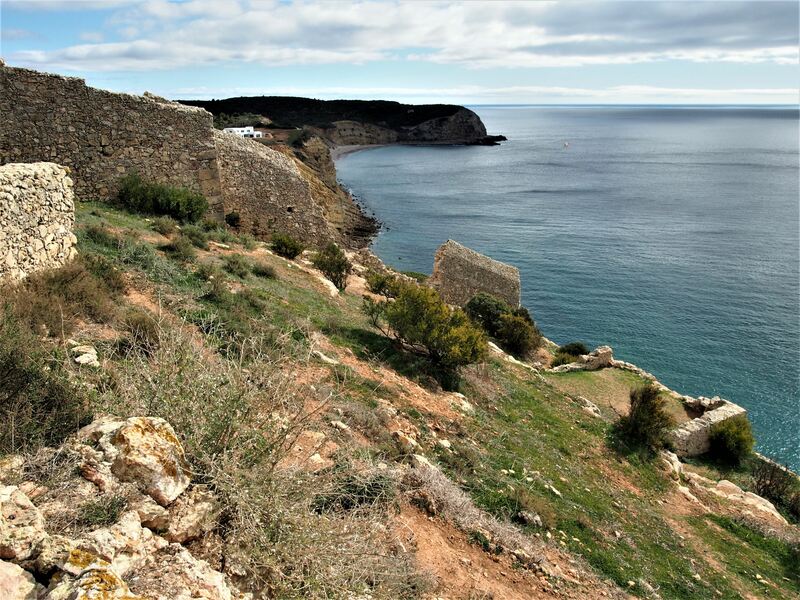 Its coastline is part of the Costa Vicentina Natural Park and it’s bounded with beaches, remote villages and dramatic sea-carved cliffs. 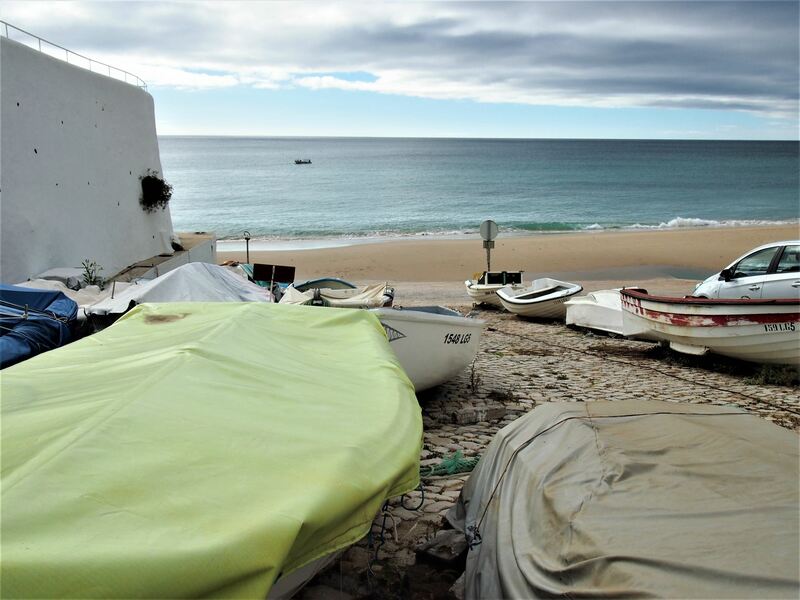 I left the Cascade Wellness and Lifestyle Resort in Lagos early in the morning and drove towards Burgau, a tiny village on the east side of Vila do Bispo. 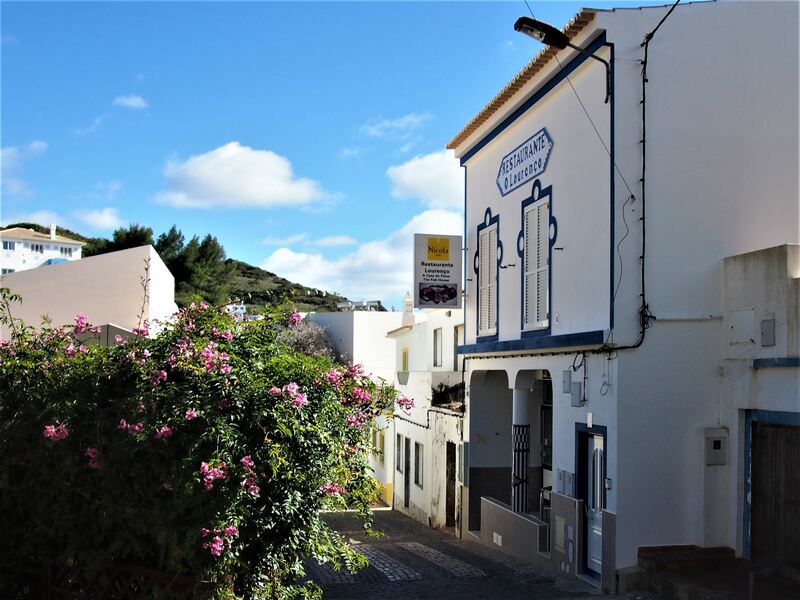 As I approached the village, I was greeted with a picturesque landscape of whitewashed houses and narrow cobbled streets. 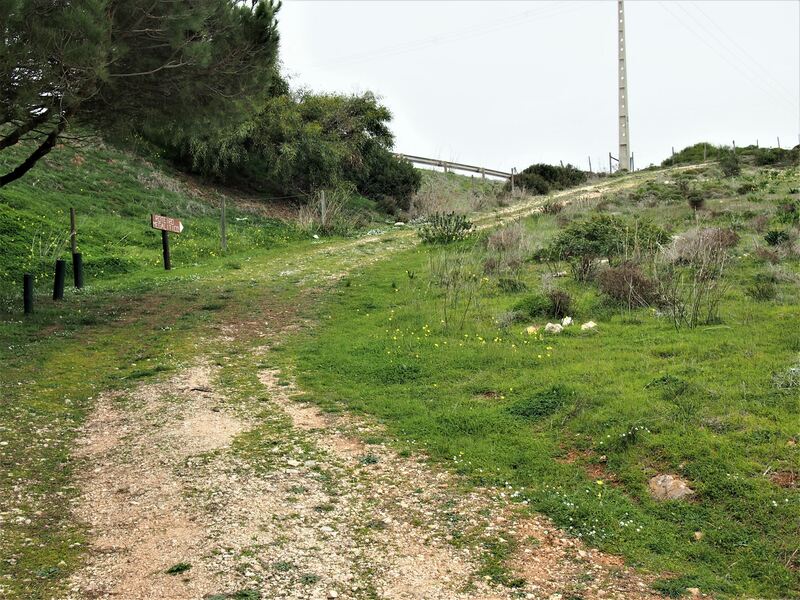 I parked the car near the centre of Burgau and made my way down the hill until I reached the beach. Along the waterfront, I saw a couple of fishermen mending their nets and looking after their boats. The tide was low so I was able to walk along the beach before it came in and nearly covered up the whole stretch of sand. I had a coffee at one of the seafront cafés and then headed to the Almádena Fort, a great spot to admire the coast of Vila do Bispo. Next, I visited the village of Salema. 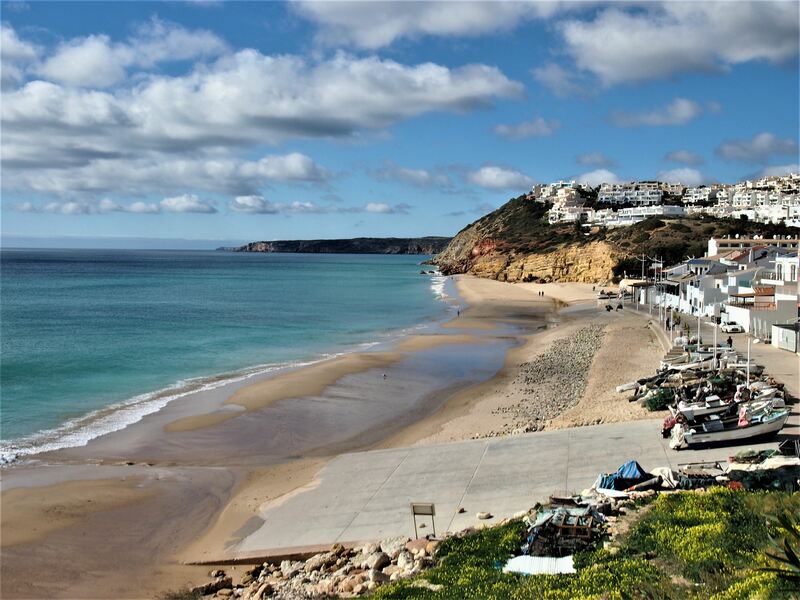 Similar to Burgau, Salema is dotted with white cottages and fish restaurants offering a variety of fresh fish. It was in one of these restaurants that I settled down at for lunch. I was recommended O Lourenço, a traditional family-run restaurant that is famous for its fish and seafood. I ordered a plate of grilled sea bass and before it was even cooked they brought it out on a plank for me to look at. I gave the nod of approval and moments later, I was taking the first bite of a delicious sea bass. After lunch, I stopped by Praia da Salema, enjoying the fluffy sand and the crystal-clear waters ahead of me. 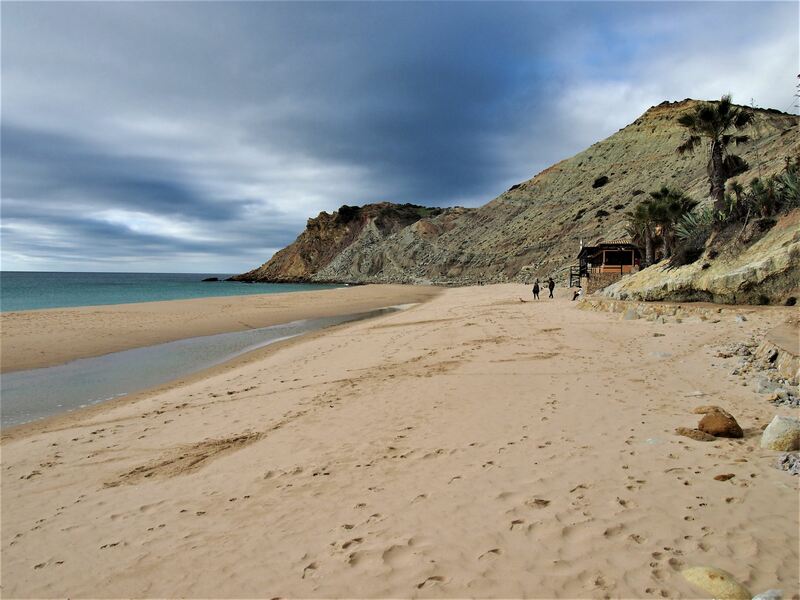 If this was the Central Algarve, it would have been packed with tourists, but luckily Salema still remains one of Algarve’s best-kept secrets. 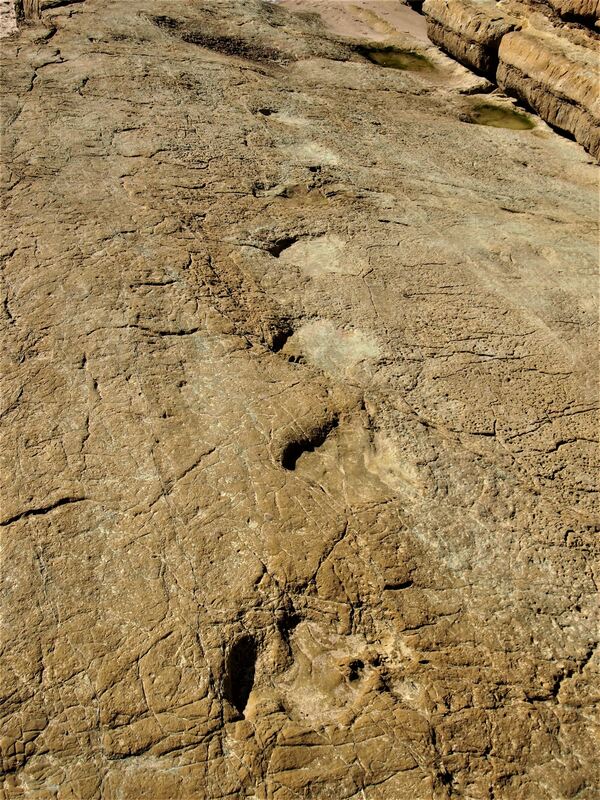 I was told there were dinosaur footprints engraved in the rocks of the beach, so I was curious to have a closer look. 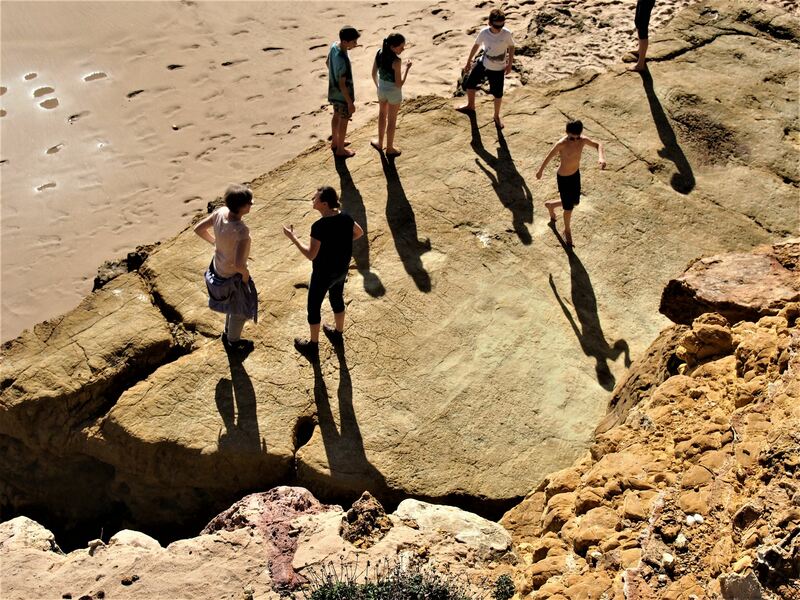 I eventually spotted them on a flat yellow rock, near the wooden stairway that leads to the town. 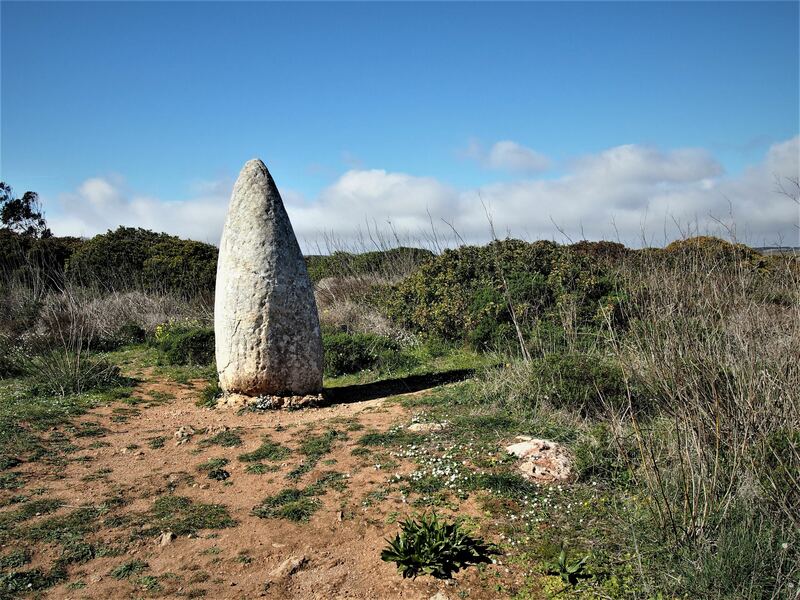 Following the beach, I got back to the car and drove to Raposeira to visit the Menir do Padrão, one of the many standing stones located in Vila do Bispo. The menhir is around 2 metres tall and was built between the 4th and the 3rd Millennium B.C. 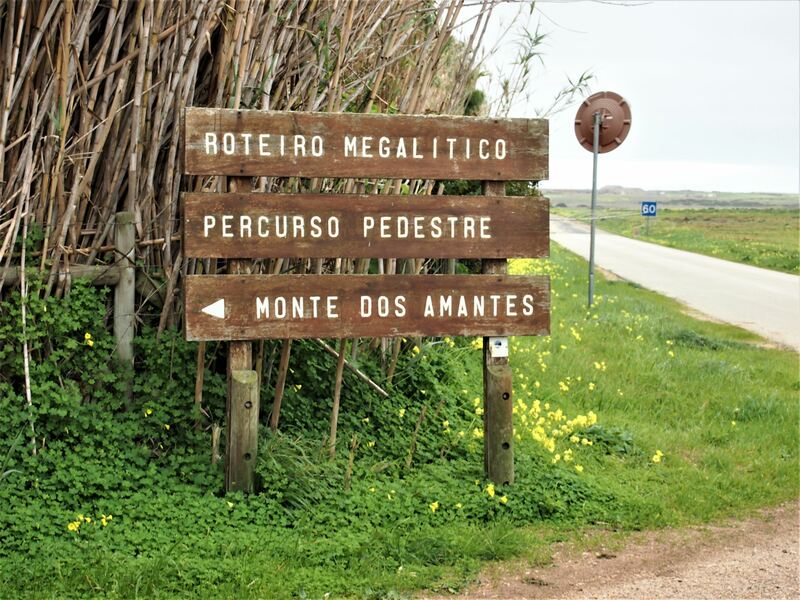 From here, I followed the road to another megalithic site called Monte dos Amantes, where I discovered several broken menhirs on the ground, some of which had engraved symbols on them. 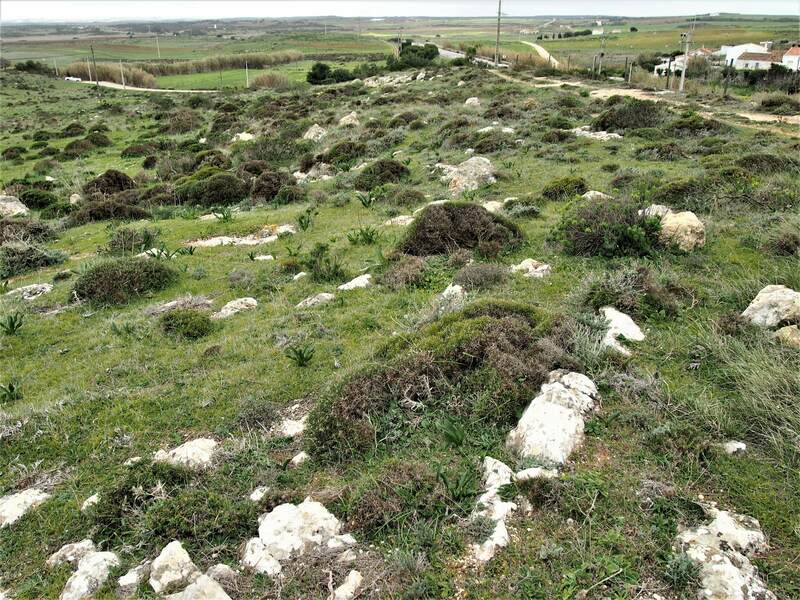 Locating the megalithic site at Monte dos Amantes in Vila do Bispo, west Algarve is not obvious. Follow this path up! I also managed to fit in a visit to the church of Vila do Bispo before dinner. 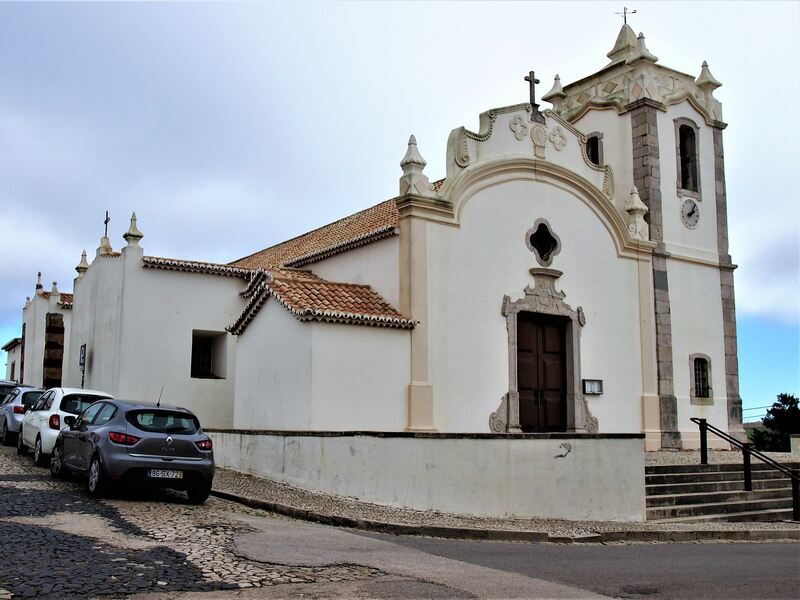 The church was built during the late sixteenth century and is one of the only attractions in the centre of Vila do Bispo. As soon as I went in, I was blown away by its interior. Wherever I looked there was something worth admiring, the side walls covered by blue and white tiles, the hand painted ceiling above me and the gilded altar at the rear of the church, all added to its beauty. The restaurant was not far away from the church, so I decided to walk there. Ribeira do Poço has been serving homemade meals since 2002. From monkfish rice to stuffed squid and grilled codfish, there are plenty of dishes on the menu, the hardest part is to choose just one! 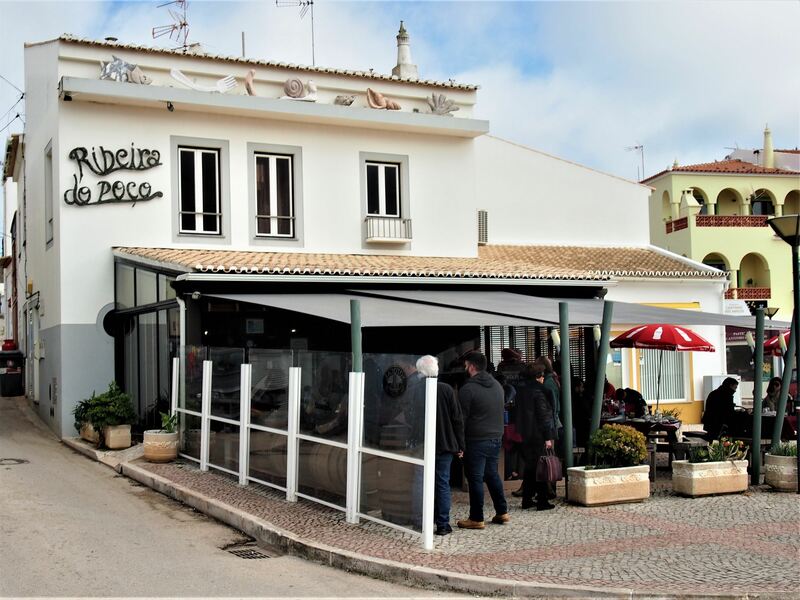 One of the most popular dishes in Vila do Bispo are the barnacles, known as “perceves”, an intriguing seafood that tastes much better than it looks, as I was about to find out. To finish off, I had a traditional fig cheese accompanied by a small glass of medronho. 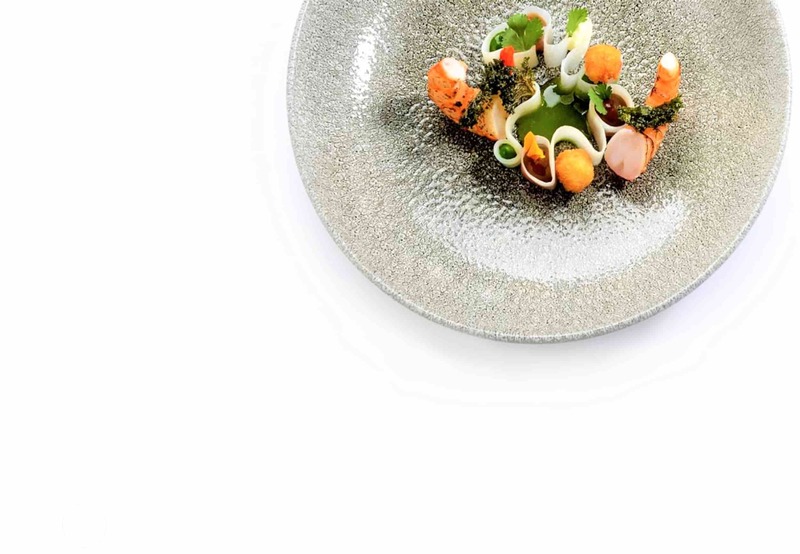 Ribeira do Poço restaurant, Vila do Bispo. 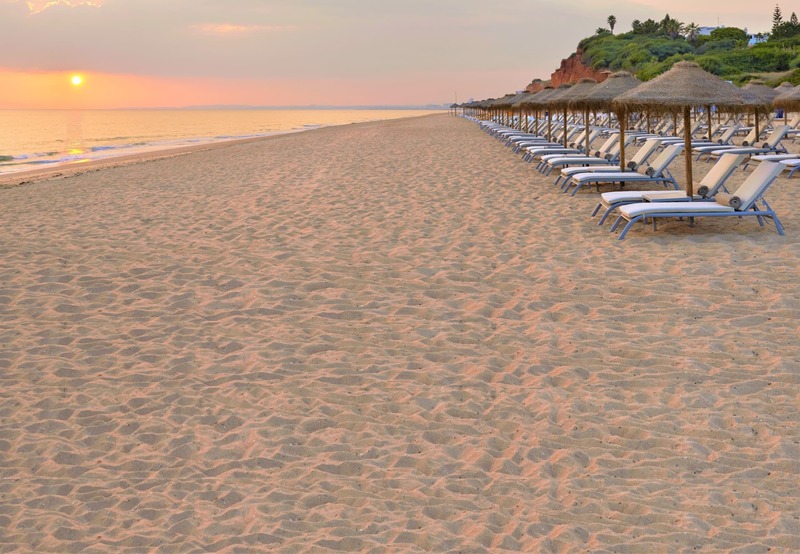 It's the middle of winter, we are in the far corner of the western Algarve and there is a queue! So it must be good. 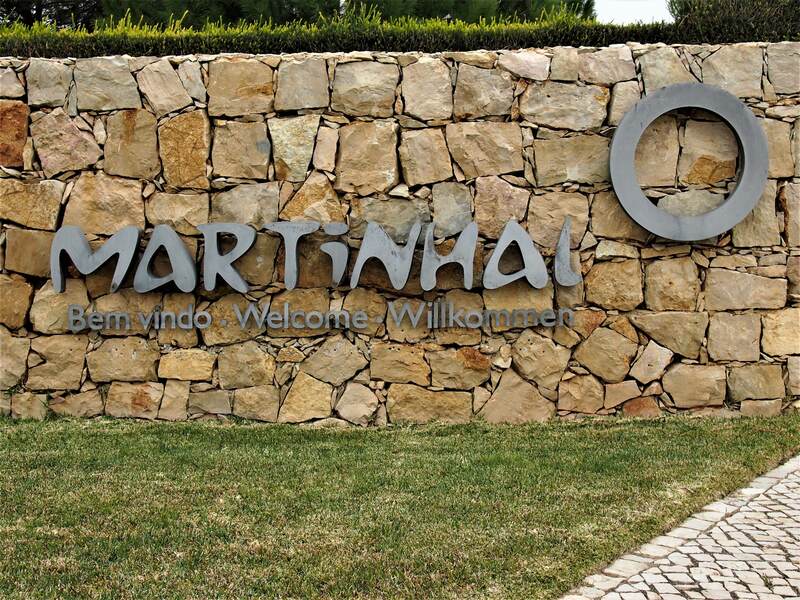 The team of Algarve Lifestyle took care of my stay and booked two nights at the Martinhal Resort in Sagres. 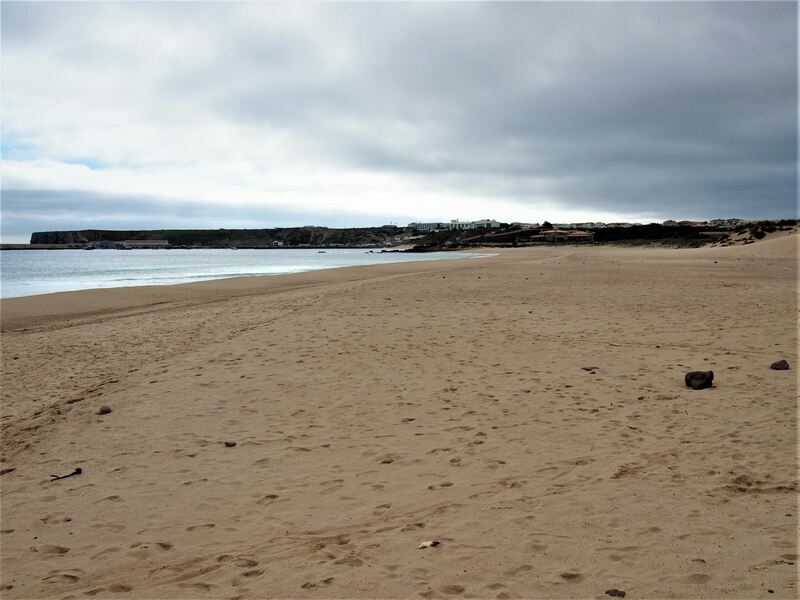 The hotel is set on the edge of Praia do Martinhal, so I had the ocean right at my doorstep.